Security and Compliance - ideal System Solutions, Inc.ideal System Solutions, Inc. In the “Ideal” World . . . your technology partner provides a safe and secure working environment. At Ideal we offer a wide range of security services to organizations of all sizes that protect your entire network, safeguarding the perimeter, critical internal assets, data, remote users, customers and partners. Our services help you comply with GLBA, PCI, SOX and HIPAA requirements. 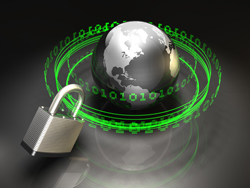 We mitigate risks before they reach your network, and reduce security costs and complexity.